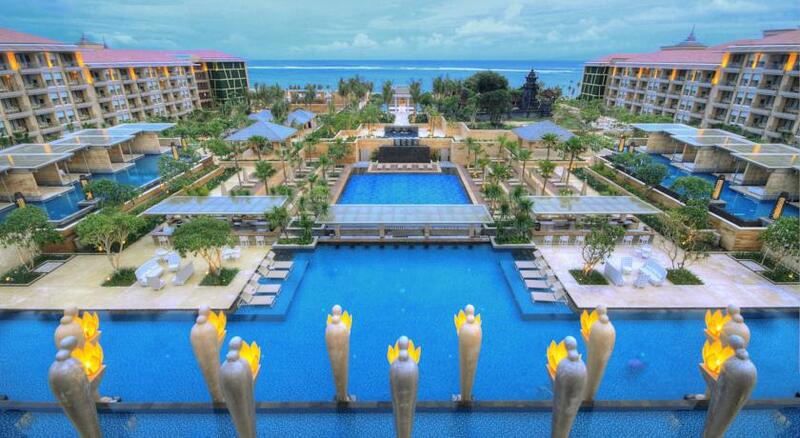 The Mulia Resort is new 5 star beachfront hotel at the coastline of Nusa Dua beach, Bali. This is the place to bliss out everyone. Explore the dramatic coastline of Nusa Dua that surrounds The Mulia, Mulia Resort & Villas, experience the serenity of breathtaking landscapes, or stroll through the perfect for those special moments. Indulge amidst magnificent nature escape you will find nowhere else. Mulia is a collection of three spectacular properties: 1) The Mulia, 2) Mulia Resort & the 3) Villas. This new ultra high end Brand from Mulia, offers an all suite property with individualized Butler Service, a meticulous attention to detail and unsurpassed sense of style and space. Mulia Resort offers an incredible variety of spectacular rooms, suite, lagoon suites, dining opportunities and wonderful amenities. The exquisite villa accommodations are the largest of their kind on the island. Ranging from one and two bedrooms villas, all the way to the six bedrooms Mulia Mansion. 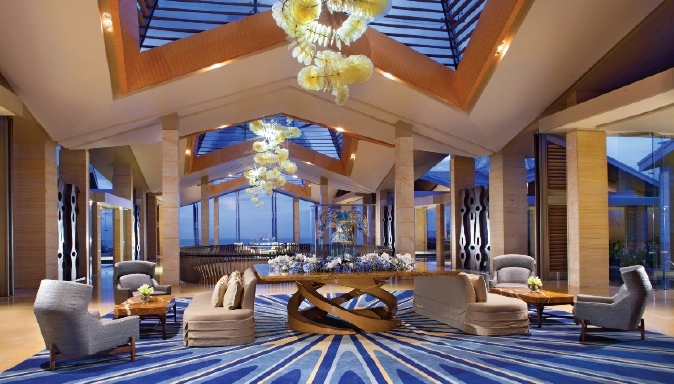 The Mulia resort is part of a sprawling complex comprising three discrete properties—a virtual pleasure city by the sea. Its 15 acres are divided into a series of tropical parterres, with three swimming pools and nine smaller lagoon pools, descending to a sandy beach. The garden encloses a pre-existing temple where daily prayers and ceremonies continue to be performed. There are four excellent restaurants (international/Indonesian, Mediterranean, Japanese, deli), three bars, and a nightclub. A few details have been overlooked (no hand soap in the lavatory), but the service is butler-attentive throughout, even in the standard rooms. The Mulia Resort, which offers an incredible variety of spectacular rooms, suite, lagoon suites, dining opportunities and wonderful amenities. 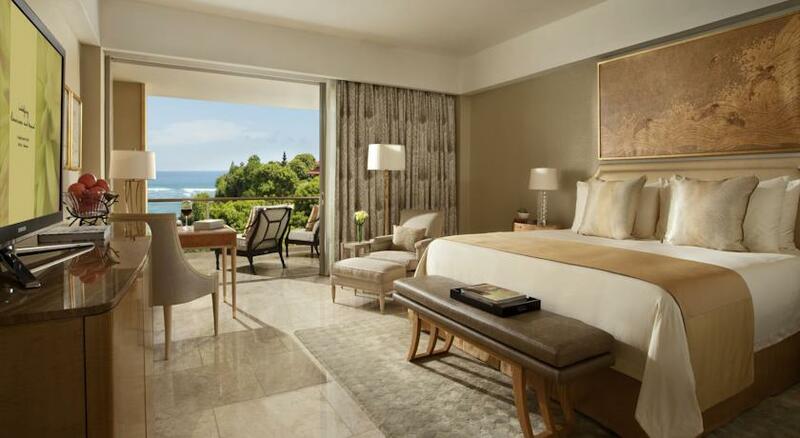 Click here for special rates for the Mulia Resort Bali ! 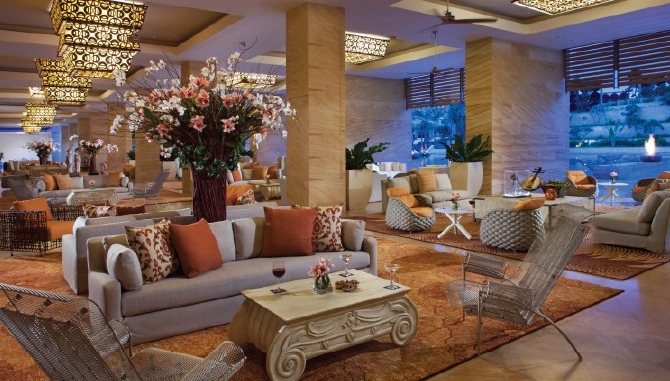 The resort continues the splendor of the entry with 526 rooms and 111 suites. The rooms maintain the same sandy color pallet of the lobby with strokes of cool greens and blues, creating a luxe beach vibe. Beds are made with fine Egyptian cotton sheets and throw blankets, with paintings featuring comical monks on the walls. Even the toilet is hyper-attentive to guests, with motion sensing technology that raises the lid at your presence. 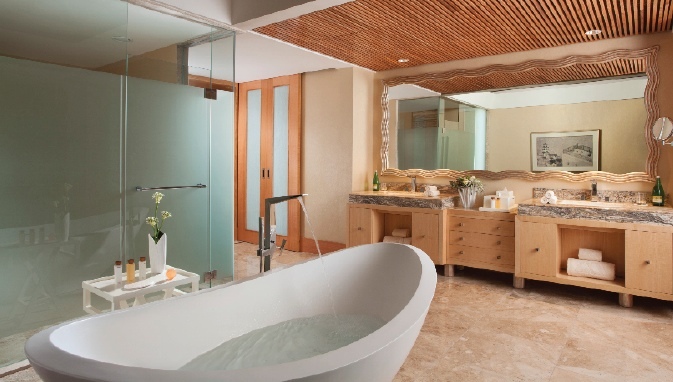 Suites feature Jacuzzi hot tubs on terraces that overlook the expansive coastline. See the real Bali !